A colorfully illustrated book that helps teach young ones about the joy of choosing to adopt a pet, also touching upon the responsibilities of dog ownership, as well as the unfair practice of breed specific discrimination. Ultimately, Peanut The Pitbull book shows how rewarding it can be to add a rescued dog to your family! Dedicated to those who make a difference to our beloved bully breeds, and to the precious dogs whose lives are touched by them. Tommy Athanasiou was born in Perth Amboy, New Jersey, on October 7, 1963, and raised in Morganville, New Jersey. In 1982, he entered DuCret School of the Arts where he majored in commercial art and illustration. Upon graduation, Tommy headed to New York City where he found work as an assistant art director. 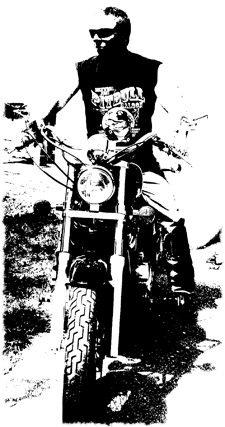 He eventually worked as an executive art director for three major magazine publishing companies, with titles including Creem -"America's Only Rock And Roll Magazine", Iron Horse Motorcycle Magazine, Fitness Plus, Natural Woman, UFO Magazine, and a multitude of others. His other assignments included feature illustrations, cartoons, and written articles and reviews. The late 90’s brought Tommy to South Florida, where he enjoyed a successful career as an editor/creative design director for several national magazines, in addition to being executive design director for two others. All was well until the Internet eventually brought an end to the Floridian publishing dynasty. Tommy had a choice: move back to NYC to continue in the magazine biz, or switch careers. He selected the latter, and worked as a hotel & restaurant spirits accounts executive for a prestigious wine and spirits company. His territory in South Florida included The Hard Rock complex and beach front hotel and restaurant properties. Late summer of 2009 brought an unexpected turn for Tommy, when his wife, Sharon, informed him of a terribly abused and injured pitbull named Smokey, who was being nursed back to health in California. With fundraising needed to help with sky-high vet bills, Smokey’s caretaker planned an auction of various items. Knowing her husband’s artistic talent could help out the pup, she volunteered Tommy to do a hand painted portrait of Smokey as an auction item. Tommy enthusiastically completed the pop art rendition of Smokey, excited to see how much it could bring in to help the brave pooch. Ultimately, the painting raised $300 for Smokey’s vet bills. Tommy was beyond ecstatic. But he wasn’t quite able to put the paint brushes down yet. Requests for dog portraits began streaming in from people who saw Smokey’s artwork. The TOMMY POP ART Studio was born. Ten percent of every commissioned painting was donated to the non-profit animal rescue organization of the customer’s choice. And the more paintings Tommy created, the greater the demand grew....which was just fine for Tommy, since that meant more money donated to rescue. The descission was made to focus all his time to this next chapter of his career. The creation of PITBULLSHIRT.COM was the next venture for Tommy that he created with his wife Sharon and the ongoing success of the paintings and his pet adoption shirts has now brought him back full circle to the world of media. Only this time as the feature story. 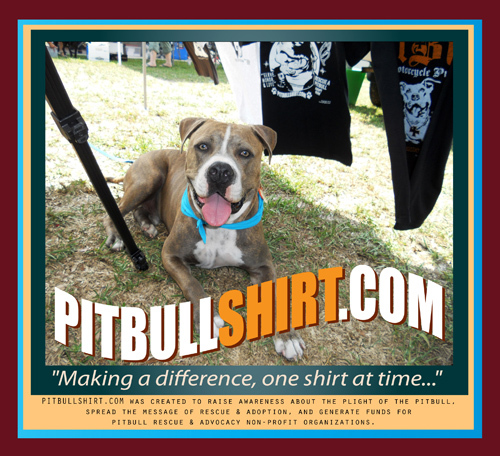 The PitbullShirt.com team can be seen at adoptable Pet Events throughout Florida. Come by and visit them! The most recent accomplishment for Tommy was winning the BEST FLORIDA COMIC STRIP at the Charles M. Schulz: Pop Culture In PEANUTS Exhibit, Hollywood, FL! (9/7/13) – And to make the event even sweeter, he also took home another 1st Place Award for BEST COMIC STRIP (featuring Peanut The Pitbull) for a Business/Organization! “I was honored just having my art featured in the same building with the GREATEST Comic Strip Artist Of All Time, Charles M. Schulz (1922-2000). But to win BEST COMIC STRIP in his exhibit was mind blowing!” Tommy said. The exhibit had 70 original PEANUTS comic strip pieces from Charles M. Schulz's outstanding 50 years of work (that’s almost 18,000 daily comics). Tommy's next chapter is the release of the first book of his children's book series, PEANUT THE PITBULL, in early October 2013. Tommy’s wife, Sharon, volunteers for several dog rescue and adoption organizations, and is active in animal welfare causes. An internationally published writer, she is currently focusing full time on Snuggle N’ Luv, her petsitting and dogwalking service. Sharon is a certified pitbull and poodle-aholic, and also has a major fondness for senior dogs and cats. The couple share their home with three furry family members: a very girlie pitbull named Peanut (adopted through Dolly's Foundation), a toy poodle named Fluffernutter, and a recently adopted maltese named Melody Bean. Their home is minutes from the beach, located between Fort Lauderdale and Miami Beach. 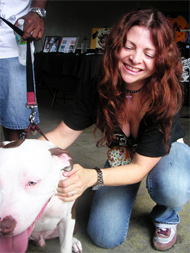 These animal-loving organizations have received donations from us, through Pitbullshirt.com or Tommypopart.com. New organizations are added monthly.